"... rock is the operative term. 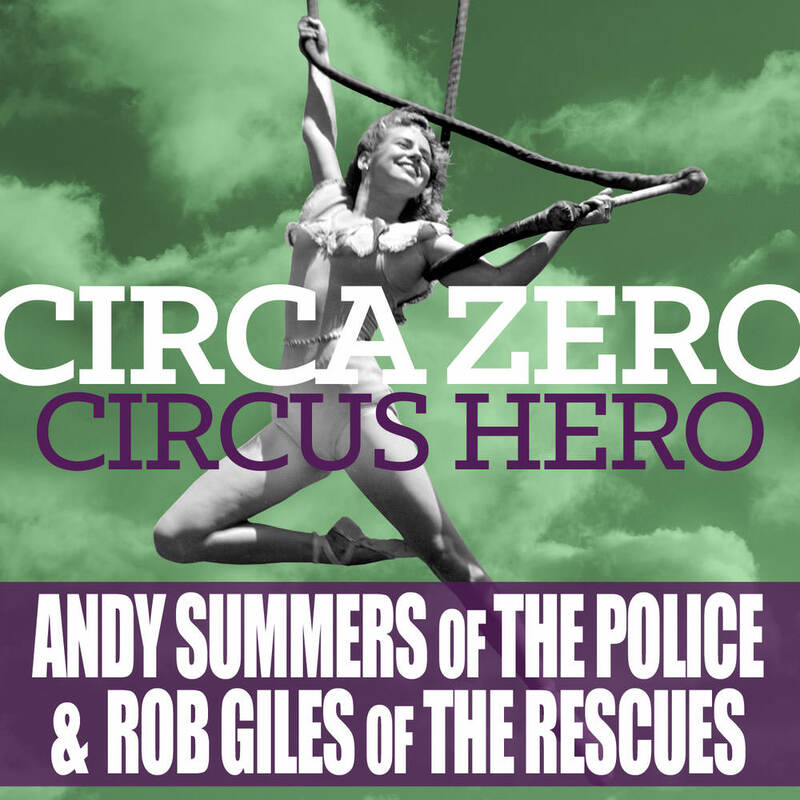 Circus Hero hits hard, maybe even harder than Summers previous band." "The basic goal was 'Let's make a rock record,' and when we say 'rock' we mean ROCK." Former Police guitarist Andy Summers is back, and he's rocking out with his new band Circa Zero. Multi-instrumentalist Rob Giles from L.A. band the Rescues handles lead vocals, bass and drums on the high-energy album which Summers proudly says is full of strong attitudes and hooks. "It was obviously exciting to be out there playing rock again. I certainly felt like I could do it again. But you've got to remember I came out of a band that was probably one of the biggest bands of all time, an incredible band with a really great vocalist, and that's a very hard thing to follow with another band and not get slagged off for it--unless you find some absolute magic with another singer. It was a daunting thing to try."